This article is unique because of its completely handicraft workmanship. 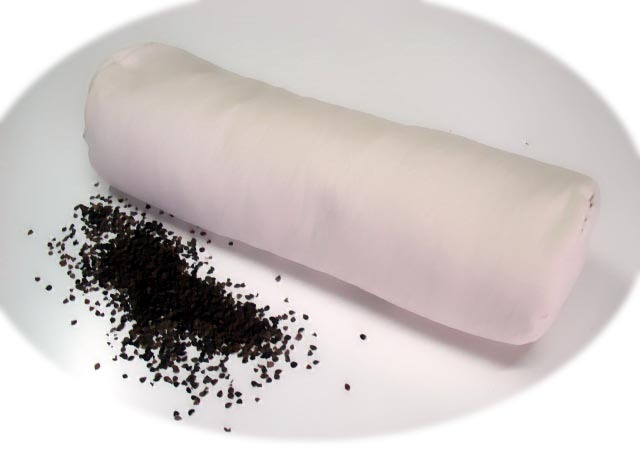 This cylindrical pillow, cotton coated and filled with gentle buckwheat’s husk, will be a valid help in preventing the arise of pains in the cervical region. It will bring benefit to your health and lifestyle, promoting a healthy sleep and an awakening full of energy. CONDITIONS: new product in sealed package. MANUFACTURE: Italian product (Made in Italy), sold directly by the manufacturer. FILLING MATERIAL: buckwheat's husk (origin: Italy/Germany). SIZES: about cm. 40 (diameter about cm. 12). - BONJOUR with buckwheat's husk. - Multilingual instructions for use. notice, according to availability at the order's moment.